Finding an online casino that gives Mac users great video poker games is a lot harder than it seems. Many casinos still use the software that they acquired years ago before Apple computers became popular, and therefore the graphics are not what one would expect to see on a Mac. 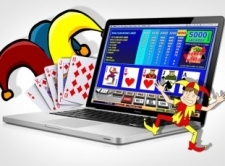 However we have played through all of the top casinos to find the best video poker games that provide the excellent graphics that Mac users have become accustomed to. After wading through tons of terrible casino software, we are proud to provide our readers with the 10 best Mac compatible casinos offering video poker on the internet today. 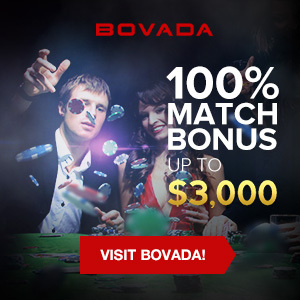 Each sign up bonus is clearly documented, and we even provide a direct link to the casinos and their exclusive offers for MacCasino.net readers. Below is a complete list of video poker games that look absolutely stunning on a MacBook Air or Pro with retina display. Whether using a discrete or integrated graphics processor on your machine, all of the video poker games listed will play and preform exactly how one would expect on a Mac. Sometimes referred to as “Draw Poker”, Jacks or Better video poker is by far the most common form of video poker offered online. Players receive payouts on any hand that has at least a pair of jacks and up. From there all of the standard hand payouts are issued, with a flush paying 6 times the wager, and a full house paying 9 times the wager. As in normal poker, the best hand you can receive in Jacks or Better is a royal flush which pays off at 250:1. Aces and Faces video poker is based on the 8/5 Jacks or Better version, however there is an increased payout for 4 of a kind with face cards as well as aces. These payouts replace the usual 2-4 payout that players are accustomed to with the standard version. For those that like to mix things up a little, Joker Wild video poker is based on the payouts of standard video poker, however there is a joker added which is fully wild and can be used to make any hand stronger. This of course means that players could hit the elusive “5 of a kind” poker hand that most people only dream about.